How to Save your Favorite Youtube Videos ? "Youtube Downloader" . 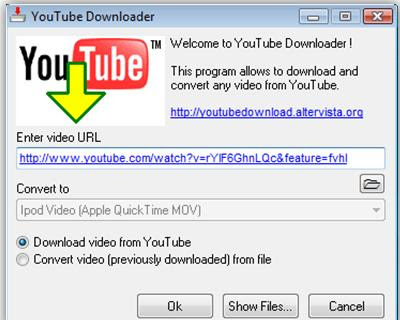 Youtube downloader is a free application which helps you to download FLV files from YouTube. You can also convert the downloaded FLV files to almost all major formats like iPhone, iPod, PSP, cell phone, AVI, MP3, WMV, and Xvid. Just copy the video link and paste it in the "Enter URL" field, Select required video format "Convert to" field, after that click OK ..